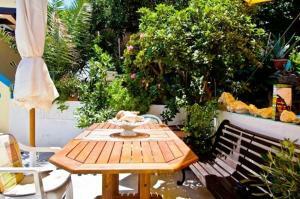 The Villa Stella is just a short 7 walk from the lively town of Fira. 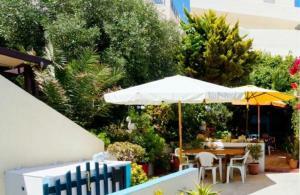 It offers air-conditioned rooms with a furnished balcony overlooking the sea or the garden. This double room features air conditioning, a fridge, a TV, a private bathroom with a shower or a bathtub and a balcony with views of the garden or the sea. This triple room features air conditioning, a fridge, a TV, a private bathroom with a shower or a bathtub and a balcony overlooking the garden or the sea.